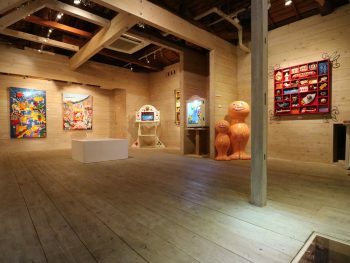 Kourin-tei is a gallery which was named under the pseudonym of Mr.Fuji Okamura, a deceased pictorial bookbinder who was on intimate terms with foremost eminent Japanese fiction writers among the literary circles of early twentieth century and took up his residence here . As a pictorial bookbinder, Fuji Okamura devoted his life to binding most of works written by famous novelists such as they are Yasunari Kawabata, Yukio Mishima, and Osamu Dazai's masterpiece entitled “The Setting Sun”, which is recognized as the best and last work throughout Dazai's literary career. Copyright © 2019 神楽坂 光鱗亭ギャラリー All rights reserved.